In the broader automotive industry, sales for most automakers in 2018 have been flat or down for 2018 year to date. Through September, Toyota sales are down 0.4%, General Motors is down 1.2%, Honda is down 2.0%, Ford is down 2.4%, and Mercedes-Benz is down 5.8%. FCA and BMW deliveries buck the general trends by being up 6.0% and 1.7% respectively thanks to strong SUV/Light Truck sales. The outlook is much brighter here on electric avenue. In the plug-in market, a true undisputed market leader has emerged that goes against the grain. Tesla Model 3 deliveries shot to the top 5 of sedan sales in Q3. The luxury electric sedan is now selling at quantities comparable to mainstream vehicles. 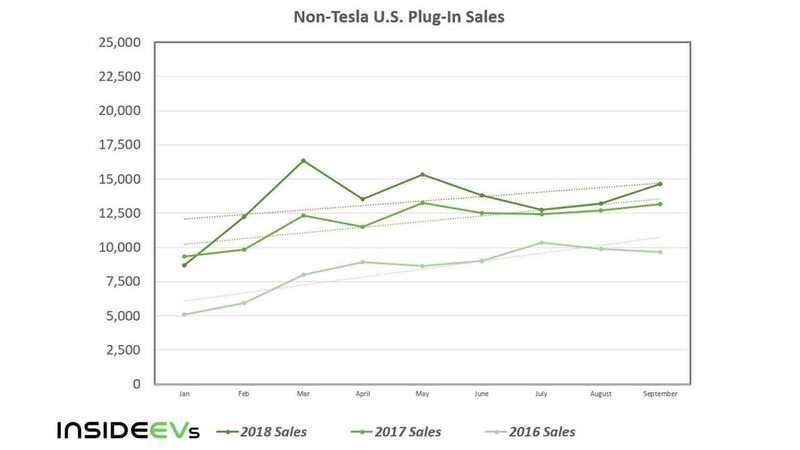 So with the lull in the general automotive market, the dominance of the Model 3, and popularity of Crossovers, SUVs and Trucks: shouldn't non-Tesla U.S. plug-in sales be similarly down year over year? So far in 2018, battery electric (BEV) and plug-in hybrid (PHEV) sales are up ~64.9% based on estimates by InsideEVs. The majority of this uptick can be attributed directly to Tesla. Estimated Tesla deliveries are up 224.7% YTD. Thanks entirely to the Model 3's record shattering 78,132 deliveries through September. Other automakers have continued to increase their buyers as well, albeit at a slower pace. Even taking Tesla completely out of the picture, non-Tesla deliveries sit at an estimated 120,533 through Q3. This is up 12.5% YTD over 2017's 107,084. So the Model 3 is reaching a significant number of new EV buyers. Tesla is not merely cannibalizing the sales of existing electric vehicle offerings. Still, a mere 5 automakers enjoy nearly 80% of the U.S. plug-in market. Tesla is the big dog with ~48.6% of the market. GM (~10.8%) and Toyota (~8.7%) currently wear the silver and bronze. BMW (~6.4%) and Honda (~5.3%) round out the top 5 of plug-in market share. 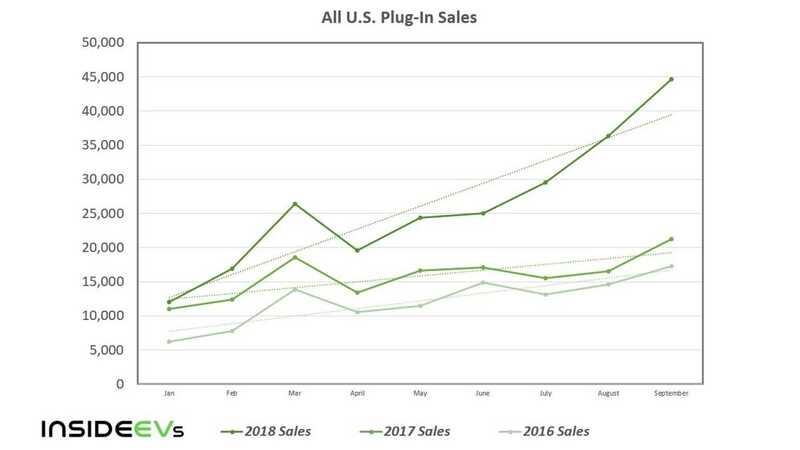 Plug-ins have reached 1.8% market share so far this year and 3.1% for September. Heading into Q4 there is a lot to be excited about. Model 3 production finally hit its stride last quarter. 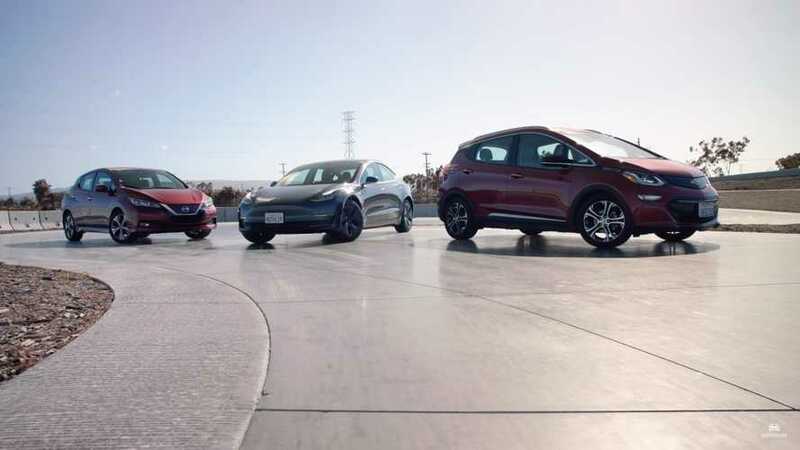 Chevy Bolt EV inventories are finally recovering, shooting up 2,000 units in just over a month as the Detroit automaker increases production for the 2019 model year. The Chevy Volt is seeing new life with a mid-cycle refresh and the Prius Prime and Honda Clarity continue to perform quite well. 300,000 deliveries is inevitable at this point. According to Tesla, their mission is to "accelerate the world’s transition to sustainable energy." They certainly seem to be succeeding in that. Not only is Tesla expanding, but the entire EV market is continuing to grow while the ICE auto market is slowing down.